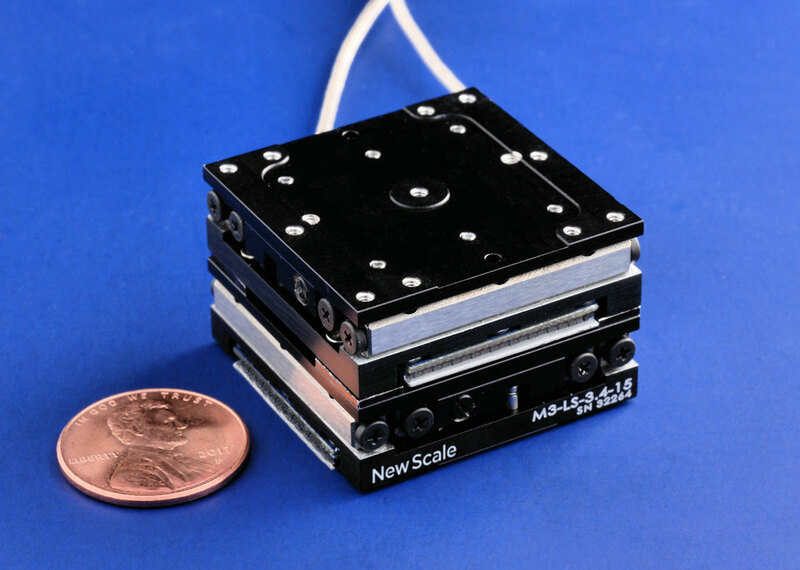 For XY-stage and XYZ-stage applications, M3-LS linear micro stages are easily assembled into multi-axis configurations. The completed assemblies offer compact size and easy integration into your handheld and portable instruments. Each of these “smart stages” has all control electronics embedded in the stage. You provide direct input of motion control commands from your system processor to each axis, over a standard serial interface. 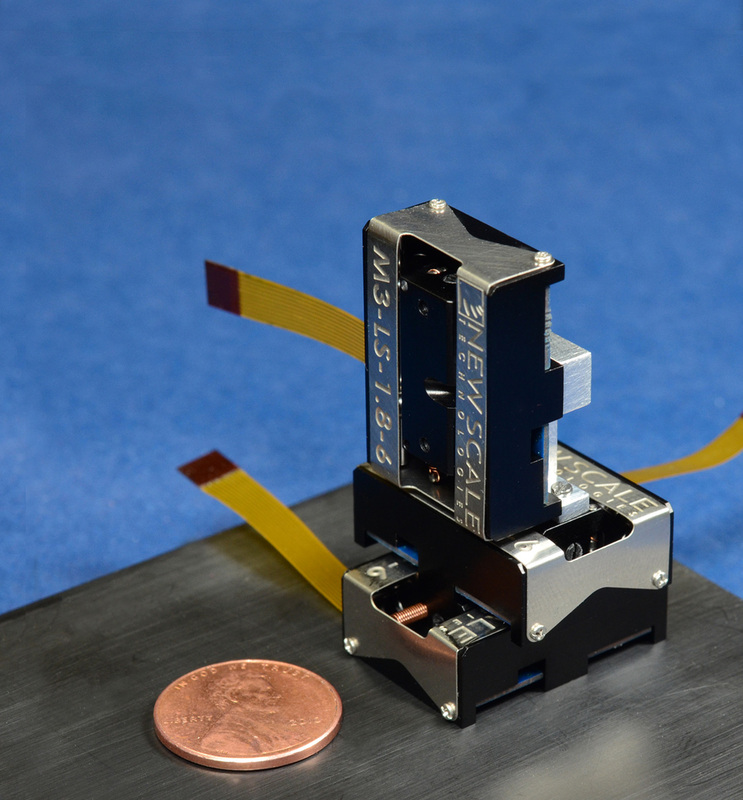 M3-LS microstages can be powered by standard batteries. For development and testing, use New Scale Pathway software to control three (or more) axes from a single command window in the user interface. The software also helps you create, save and run scripts for automated operations. M3-LS smart stages give you multi-axis positioning capabilities with the smallest system size and easiest integration into your products. 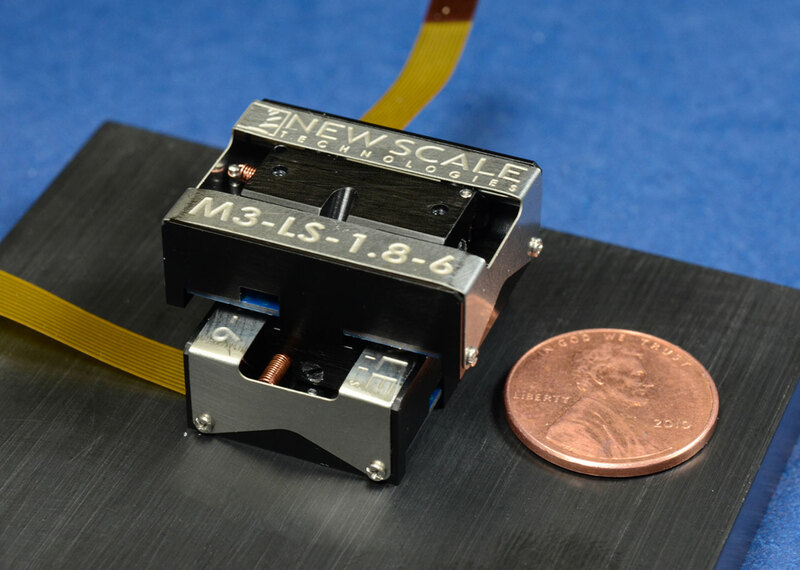 Visit the M3-LS Linear Stages product page for specifications and ordering information. Visit our linear micro stage page for more information including complete specifications, data sheets and drawings. Developer’s Kits include one linear stage, and New Scale Pathway development software for evaluation and system development. The software allows you to add stages to the kit and control all axes from a single user interface window. 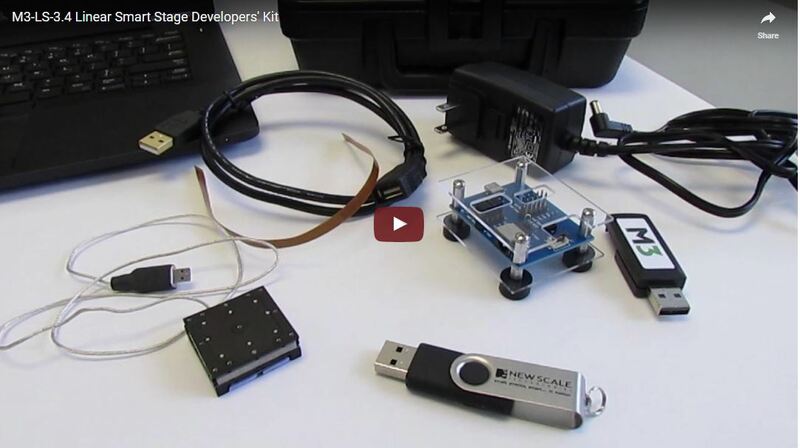 To get started, purchase a single-axis developer’s kit. 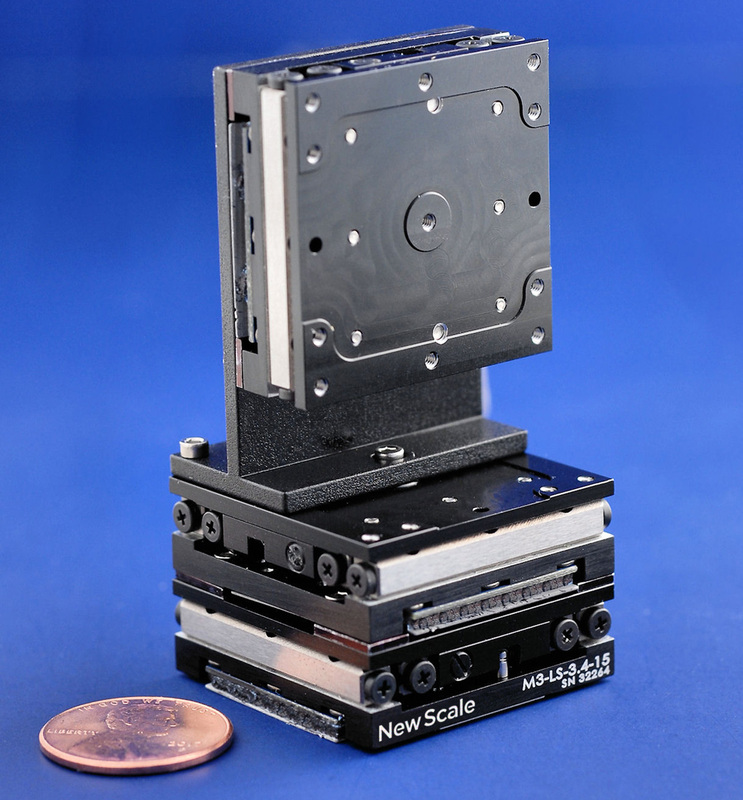 Then contact New Scale for mounting brackets and additional stages to create miniature, two-axis XY stage and three-axis XYZ stage systems.